I remember these days Oh so Well! My memories of my boys in school was the dreaded "Conferences" when you are given a progress report from their teachers. My oldest son's (the boy standing) report was always "Your son is such a good boy and a delight in my class, he is one of my favorite students". Then is was time for my youngest son's (the boy with the dunce hat) report "Your son is always disruptive in my class with trying to be funny all the time, he is not one of my favorite students". I would walk out of that school and chuckle to myself seeing the difference in my son's personality even in the classroom. Fast forward 40 years and I have 2 sons who have grown into fine men with families of their own and doing very well in this world ... their father and myself are very proud of both our boys. 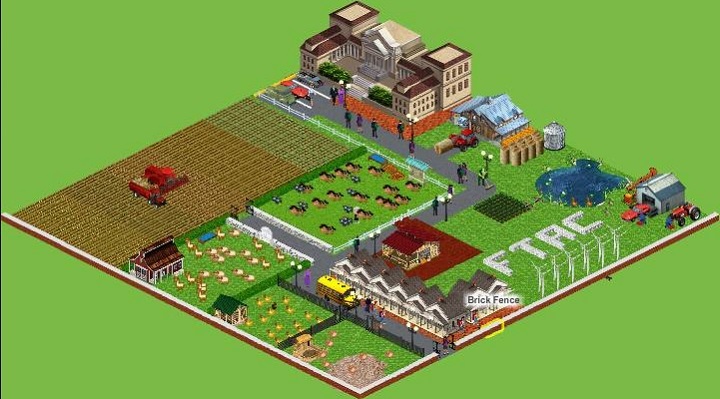 Here is my farm 2. In Brisbane it is spring and primary school students are learning swimming or beach and swimming between the flags road safety for bike riding or other sports.